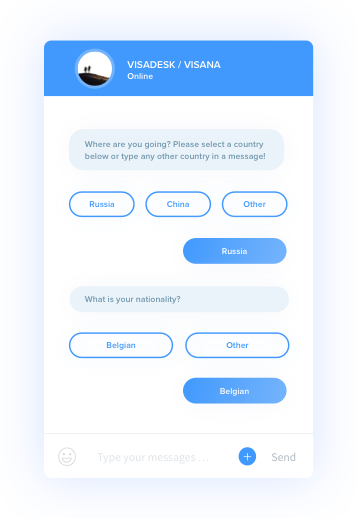 Faqbot | A helper bot that answers FAQ automatically in real-time. Personal one-to-one customer engagement experience that scales online. As easy as texting and chatting. 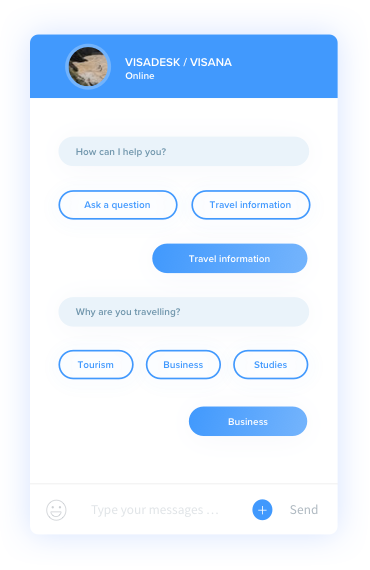 Build a chatbot that answers frequently asked questions automatically with AI and curate a user-driven FAQ database. Works on your website, in your app, and any other communication channel. 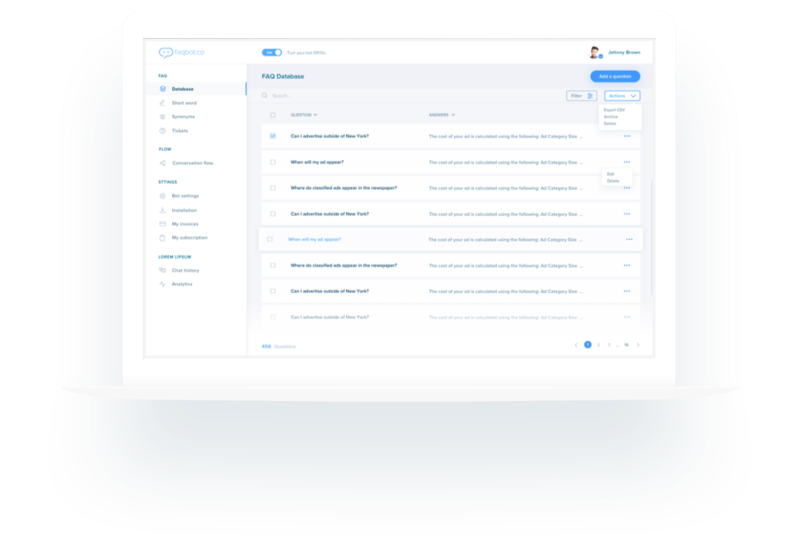 Sign up, add your FAQ page, personalize and install your Faqbot in minutes. No coding required. We help companies to build self-servicing help for customer support, sales and marketing automation. 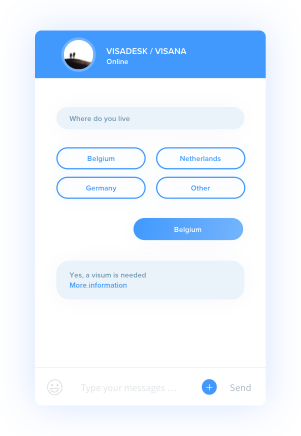 Faqbot builds a FAQ database on the basis of your existing FAQ content. Our AI understands questions that are formulated differently and learns from each conversation to improve its replies. We enable you to curate FAQs that are driven by your users. 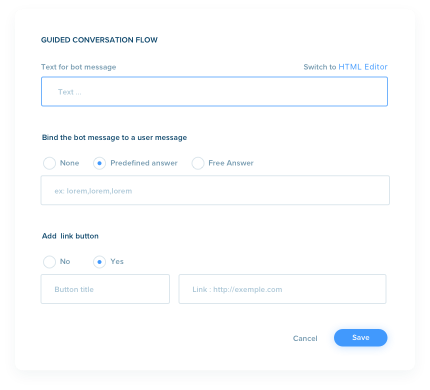 Faqbot lets you build guided conversational flow with your users to guide them to a desired outcome. 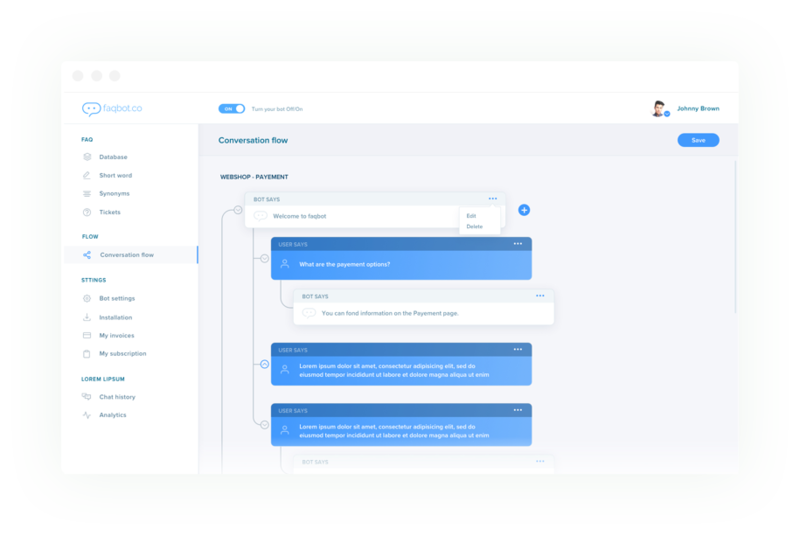 Map out your process and automate this to reduce customer support volume, increase conversion or qualified leads. 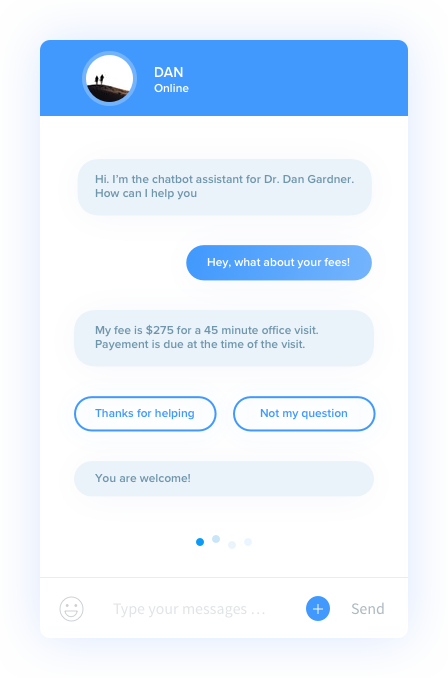 Faqbot knows when to pass a question to your team, we integrate with different ticketing or messaging systems. Our system is designed for easy setup and integration with other platform. Start reducing your customer support volume.